Jain Bhagini Kendra Leicester, part of Jain Samaj Europe, is a ‘Ladies only’ organisation formed 37 years ago. The idea of forming a ‘ladies only’ group was suggested during the annual general meeting of Jain Samaj, Europe in 1977 and soon after, this was fulfilled by a small group of ladies, initially comprising 25 – 30 members. At that time, they did not have a community hall; meetings were held at member’s homes. Even with very minimum funds, they started organising successful events and progressed gradually. 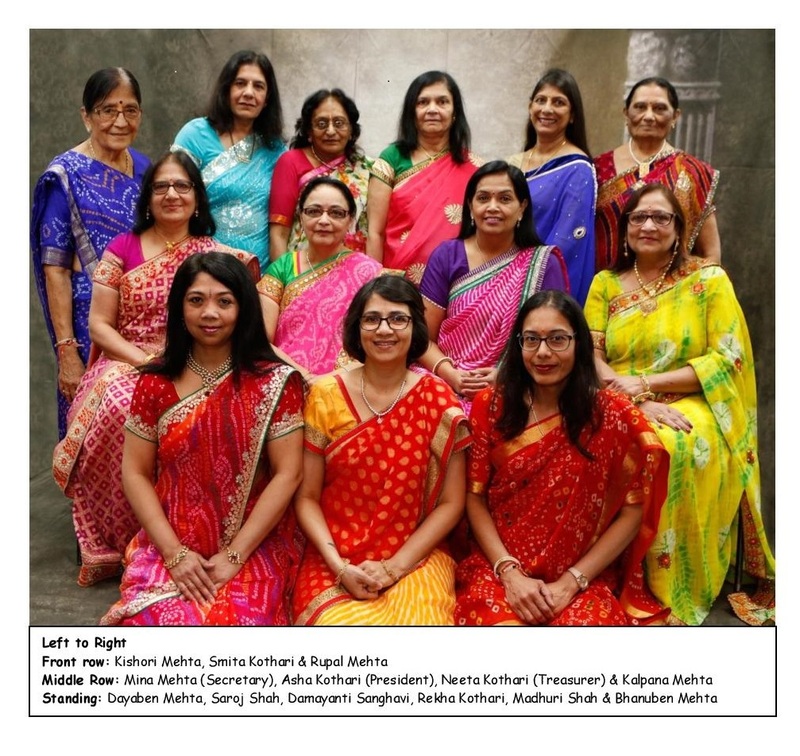 The main objective of Jain Bhagini Kendra is to promote social, cultural and religious activities amongst ladies within the Jain community of Leicester and increase their self-confidence and awareness. This would be achieved by preserving the Jain culture and following the Jain principles. Religious events like Samayak and Puja. Cultural events during Diwali, Mother’s Day and Christmas. Discussions, workshops and presentations on health and educational related topics. Yoga and Meditation classes, demonstrations on cooking, handicrafts, special products. Dramas, dances, live music shows and DJ parties, games and puzzles, fashion shows, fancy dress competitions. Days out – Sight-seeing, picnic, shows, religious events. Participation in competitions at local and national levels. Triveni Sangam – This is the biggest cultural event hosted alternatively in Manchester, Leicester and London (3 regions), once every 2 years. Ladies from all regions get together, chat, exchange news, eat, enjoy and participate in the events as organised by the host. Membership starts at 16 years age and can either be for life membership (£25) or two years membership (£4). An annual general meeting is held every two years when the executive committee of 11 -13 members is elected. The Committee members provide their service on a voluntary basis and work hard with full dedication to serve the Jain community. This is my first term as a president, and I take this opportunity to thank our past president, Inaben Shah and the committee for their hard work and support in making Jain Bhagini Kendra, Leicester a very highly spoken and recognised entity within the Jain community in UK and worldwide. I welcome my new committee and we hope to continue to work together to progress even further. My sincere thanks also go to all our members who have always supported us by giving generous donations and helping out during all our events.